The conversation about what the tech startup scene needs – and about what could stifle tech entrepreneurship in San Diego – has picked up in recent months. There’s some soul-searching happening now about what San Diego’s startup tech scene needs – and about what could stifle tech entrepreneurship here. The needs are echoed throughout the sector: Savvy mentorship. Money. Community. One local company founder, Adriana Herrera, is writing a blog for The New York Times about her experience straddling two startup communities, in San Diego and Santa Monica. She and her co-founder would rather be here full-time, she said, but she’s found advisers, help and inspiration farther north that she said she can’t ignore. And in April, a local startup aficionado and author, Brant Cooper, instigated a wave of conversation about the places he thinks the pipeline is broken in San Diego. In a widely circulated post known around town as “Brant’s rant,” he laid into big industry organizations begun decades ago to foster entrepreneurship and innovation in San Diego. The post was inflammatory, and Cooper later revised some of his sharp criticism. The post itself generated nearly 100 lengthy comments from entrepreneurs and others. Many praised Cooper for calling out things they agreed with. Others leaped to the defense of the big institutions, who state the same goals Cooper espouses. Martha Dennis, a longtime local entrepreneur and venture capitalist who serves on boards for local startups and industry organizations, took public exception to some of Cooper’s points. But Dennis said the conversation highlights a trend she welcomes. Indeed, perhaps the biggest impact of the conversation so far has been an epiphany for entrepreneurs. These are the very people who see a problem or a gap in the economy, in the market and come up with creative ways to solve it. They’re starting innovative businesses that guide consumers toward sustainable clothing and connect beer lovers. 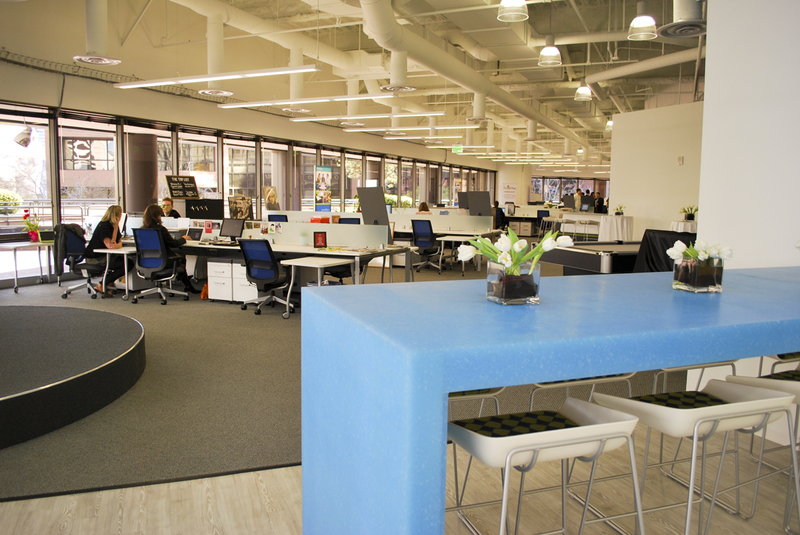 But they’re also innovating ways to improve the business culture in which they exist, in San Diego. A tech nonprofit launched a business incubator, EvoNexus, which opened its downtown branch in 2012 and nearly a couple dozen teams have spent rent-free months there. The proliferation of networking meet-up groups and speaker nights at co-working spaces reveals the niche’s depth. San Diego Tech Week in July will feature a handful of startups pitching their ideas. But establishing stable ground from which to grow San Diego’s startup scene is still difficult. Those needs for space, money, mentorship and community are huge. Still, many local entrepreneurs say, some of those problems are slowly being addressed. Cooper and others talk about the “density” of startups being a crucial piece – the idea that you could be stopping for coffee and run into an investor or a tech person or another startup founder. Cooper lamented the county’s disconnected pockets of activity. But that density is beginning to show up, in giant offices where multiple companies share space downtown, and in Wednesday morning shop-talk sessions at Del Mar’s Pannikin café. Steven Cox is CEO of an online hub for connecting music students with teachers willing to give lessons. He co-founded his company, TakeLessons, in 2006. It employs about 75 people, he said, out of offices that overlook Petco Park. Now, there’s some new energy, he said. Bsharah co-founded Embarke, a service to help find the best time to target customers with messages. A former electrical engineer for Chrysler in Detroit, he moved to San Diego 15 years ago and has been involved in startups ever since. Their business hit a new level late last year when they were whisked to Seattle for three months for TechStars, a well-regarded startup accelerator. Now they’re hiring. But the fledgling community still drives some founders to leave, or at least split their time. Herrera started Fashioning Change, an e-commerce startup meant to guide consumers toward environmentally friendly clothes not manufactured in sweatshops. Herrera and her co-founder, Kevin Ball, want to be in San Diego. But they’ve also rented a house in Santa Monica to be near that city’s bustling hub of startup activity, mentors and funders. She wrote about that tension in her blog for the Times. Part of this is a question about how to stop startup businesses from launching in a basement here, getting acquired and being yanked to some other tech hub just as it begins to flourish. The venture capital pool is not very deep here compared with other cities in California and elsewhere, Dennis said. Several hubs around the country – Silicon Valley, Boston, Seattle – eye the ideas of San Diego companies, and try to coax them to move. “What’s happened in the last 10 years is there has been less and less capital available for San Diego innovation to get that innovation going,” Dennis said. The Irvine Company, a massive commercial real estate company, wants startups like Herrera’s to stay in San Diego – to grow here, hire lots of people and sign big leases one day. So the company gutted a floor in the middle of downtown and built out the space to host EvoNexus for free. And it connected with other startups to find ways to set them up with spaces. It rents month to month for some, by-the-desk for others. “Those of us who have a stake downtown, it’s important to help foster that,” said Nelson Ackerly, an Irvine Company leasing director for San Diego. Companies like Irvine have risen to the challenge to find flexible spaces for startups to grow, Dennis said. When EvoNexus started a downtown branch last year, it invited 10 startups to set up shop there, no strings attached, for six months. Turns out some of those startups wanted strings. They craved insights from more established company founders, needed help raising money and wanted guidance on their business strategy. So EvoNexus added more programming and structure for the next group of companies to set up shop in the incubator. Herrera and Fashioning Change were in on that first round, and invited to stay for the second, more structured program. But Herrera left EvoNexus about six weeks ago. They moved down the street to join Bsharah and Gordon’s company, Tap Hunter, in another Broadway office building owned by The Irvine Company. It’s difficult to tell what all went into the separation between incubator and incubatee. Both say they wish each other well. Herrera said a rigorous push from EvoNexus leaders to raise $1 million in funding wasn’t what her other advisers recommended. “It’s better for us to pay for space than to get free space and deal with the bureaucracy,” she said. The EvoNexus program is itself still new. Meanwhile, Gordon said the rise in interesting programs and seminars is coaxing some hidden experts – and funding – from the woodwork. Intuit and Qualcomm, two of the region’s largest technology and telecommunications companies, are full of career businesspeople carrying decades of experience growing a business. “We are starting to find those guys who had no idea there was a scene here,” she said. But, she said, the task now is to vet the willing mentors to find the ones who really understand the finer points of building web-based or modern businesses. People, perhaps, like Cooper, who grew up in San Diego and spent 18 years in the Bay Area working for tech startups and studying effective entrepreneurs before moving back in 2007. Even though he pointed fingers recently, he’s launched a series of speakers, networking sessions and “office hours” for startup founders who need help. “I had an epiphany: You have to go do it yourself,” he said. This is part of our Quest to find out more about the innovation economy in San Diego. Here’s a good overview of what we wanted to find out, and check out these highlights from the series.